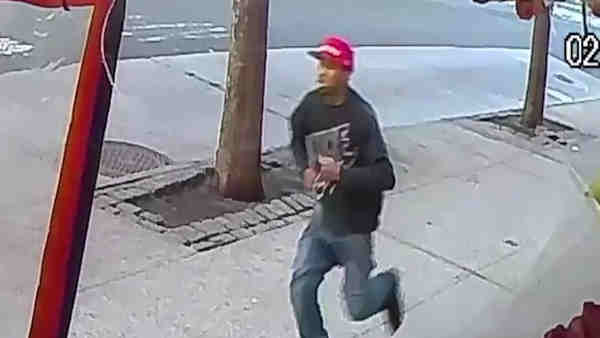 UPPER WEST SIDE, Manhattan (WABC) -- The suspect arrested in the stabbing and robbery of a man on the Upper West Side Thursday evening was also charged in four other crimes in the past three days. 21-year-old Rondell Smith of the Upper West Side was charged with robbery, criminal possession of a weapon, and menacing. On Thursday at 5 p.m., a 33-year-old man was walking west on 88th Street near at 105 W. 88 St., when he was approached from behind by a man who grabbed him and placed a knife to his neck. According to the NYPD, the man demanded the victim's property, and the victim gave him his Apple Kindle and Apple headphones. A struggle ensued and the victim was stabbed in the upper back before the other man fled east on West 88th Street. The victim was taken to St. Luke's Hospital where he is stable. Later Friday night, police announced that they had connection Smith to four other crimes in the city since Wednesday. Most recently, Smith is suspected of robbing a 25-year-old man of his money on the northbound platform of the #2 train at the 96th Street Station. It was this crime that led police to the suspect. Smith was then placed in a lineup and identified by the stabbing victim from Thursday, and also by 70-year-old man, 13-year-old boy, and 34-year-old man who had all been robbed on the Upper West Side of their money at gunpoint or knife-point.